Exchange free instant messages with friends whenever and wherever with one-on-one and group chats. 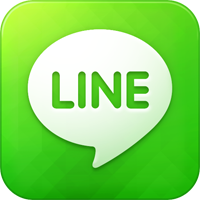 Real-time voice and video calls with friends are free with LINE. There are more than 10,000 stickers and emoticons. You can express what you need with the use of these. LINE lets you share videos, voice messages, photos and other than that you can share the contacts and location information as well with your friends.